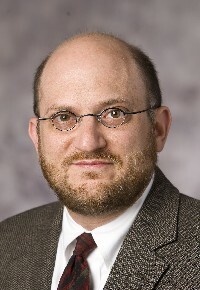 David Sorkin joined the John Marshall Law School faculty in 1991. Previously he clerked for a state appellate judge in Indiana and taught at Indiana University School of Law-Indianapolis. In 1999-2000 he was a visiting scholar at the Center for Research and Education in Information Assurance and Security at Purdue University. In 2001 and 2002 he taught courses in privacy and cyberlaw at Southern Cross University in Australia. He has taught courses in legal writing, research, and analysis since 1990, and has written several articles on communication skills for lawyers. In 1994 he created John Marshall's original web site, and the following year he began teaching one of the first law school courses on cyberspace law. He has also developed and taught innovative courses in related areas, including spam and email marketing and online dispute resolution, along with courses in cyberspace law and consumer law taught entirely online. He has also taught consumer law at Northern Illinois University College of Law and Loyola University Chicago School of Law. Sorkin has written and spoken widely about Internet policy, privacy, and consumer protection issues. He has testified before legislative panels and participated in Federal Trade Commission programs on consumer arbitration, debt collection, ATM fees, privacy, and email spam. He has been invited to speak about spam and international dispute resolution at conferences in the United States and overseas. He has served as an arbitrator for the Better Business Bureau and the National Arbitration Forum, and is a panelist for ICANN domain name disputes administered by the Forum and the World Intellectual Property Organization. He serves on the faculty of John Marshall's Center for Intellectual Property, Information & Privacy Law and its LL.M. and M.J. programs, and as a faculty advisor for The John Marshall Journal of Information Technology & Privacy Law. He has taught many courses at John Marshall, including Consumer Law, Cyberspace Law, Information Law & Policy, International Privacy Protections, Internet Policy Issues in Education, Introduction to Information Technology Law, Lawyering Skills, Online Dispute Resolution, and Regulation of Spam and Email Marketing.